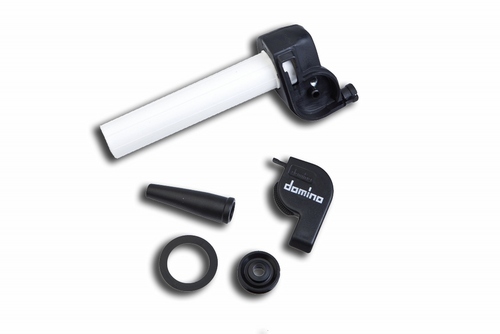 Domino throttle assemblies offer the most responsive selection of throttle components designed to suit the widest range of riding abilities. The Quick-Rev offers the same quality construction methods of the Domino Slow-turn, but with an increased turning ratio, which is most often suited for those riders who are looking for quickened throttle response. Fits all modern and vintage bikes with 7/8" handlebar diameter. Bonus: Includes a new pair of trials grips.